Traditional developmental mathematics sequences are a major impediment for community college students who need to acquire college-level mathematics credit in order to attain their long-term academic goals. Each year, approximately 500,000 students fail to complete their developmental mathematics coursework, jeopardizing their ability to earn an associate degree or technical certification, and/or transfer to a four-year institution for further education. 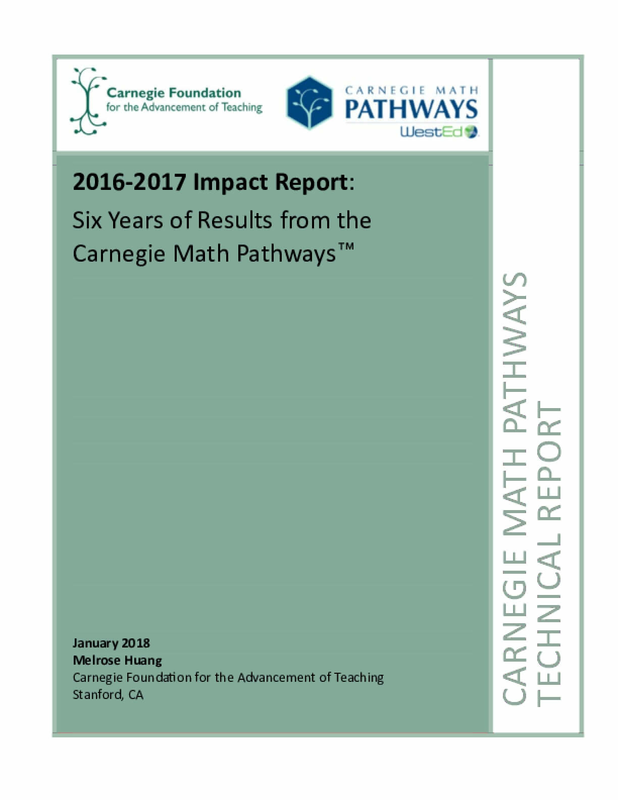 In response to this national crisis, the Carnegie Foundation for the Advancement of Teaching founded the Carnegie Math Pathways. The Pathways include Statway and Quantway, two alternative courses that accelerate student's progress to and through college-level mathematics. Since launching in 2011, the Pathways have served over 27,000 students and consistently demonstrated significantly higher success rates than the traditional course sequence. In 2016-2017, Pathways success rates increased further, even as the program served nearly five times as many students as in its first year.